VR Zone reports nearly 1,000 workers protested against poor work conditions at Foxconn's plant in Chengdu. 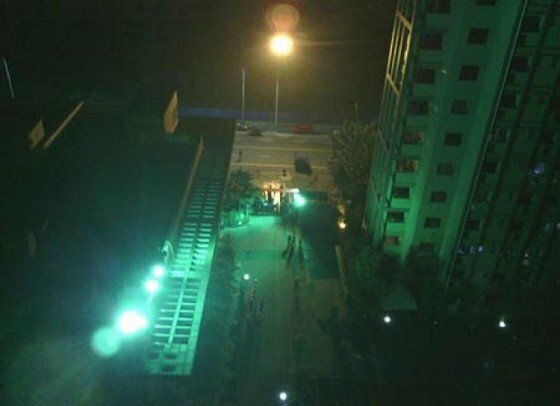 According to a report from wantchinatimes.com, it took the police several hours to subdue the riot. The Chengdu plant is responsible for producing a massive amount Apple’s iPhones and iPads. Despite Foxconn’s/Apple’s effort to convince the world that they’re putting a lot of effort into improving worker conditions—it doesn’t seem like whatever they’re trying is working. The riot started when guards were trying to stop a thief, and some workers, who had held grudges against the guards, tried to prevent the guards from catching the thief. What began as a few workers trying to secure a thief’s safe passage, soon escalated into nearly 1,000 workers chucking pots, pans, garbage, and even fireworks from their dormitory windows.